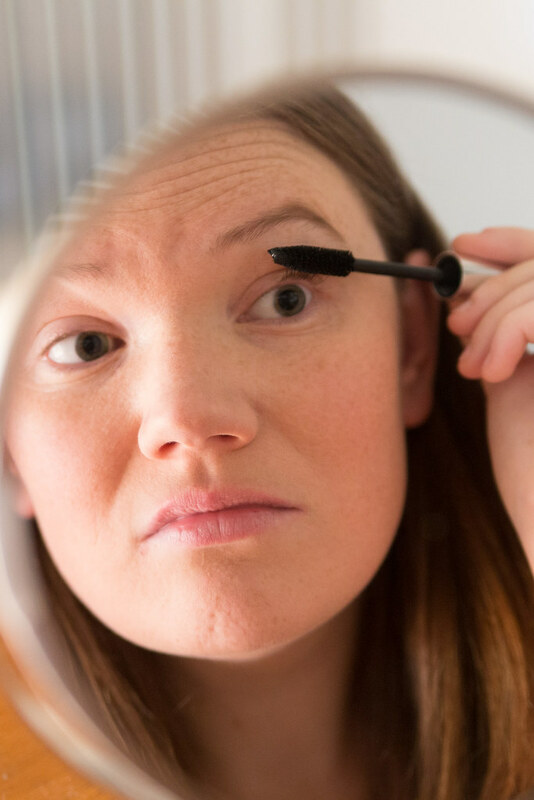 As a mom, the last thing I want to worry about is reapplying my makeup. In an ideal world, I’d put my face on first thing in the morning and never have to think about it again. 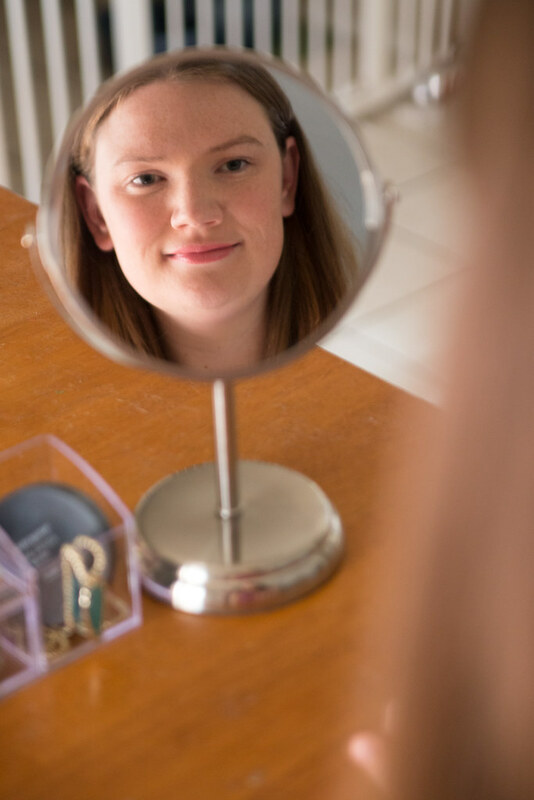 With that in mind, I wanted to share my summer beauty routine for easy summer makeup that lasts all day — just what every girl needs! Inspired by Hayden Panettiere’s On Set Look, my easy summer makeup routine features a natural look with a pop of color on your lips. This look is perfect for a busy summer day, whether you’re filming on the set of Nashville or chasing a two-year-old around the park. I shopped at Target for the products that Hayden used in her look, and took advantage of this Cartwheel offer to save on my purchase. Note: Cartwheel offer available through 8/16/14. 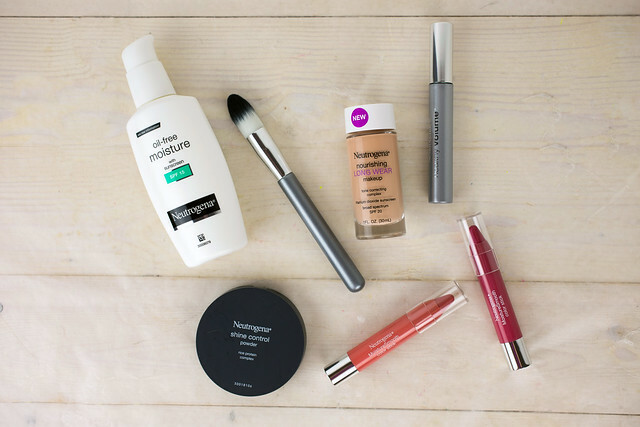 And don’t miss the Target Beauty Concierge event to learn even more about these products. Event begins August 24th, Limited quantities available. Check with your local Target store for Beauty Concierge day and times. 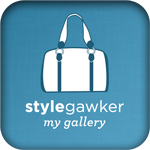 You can pick up all the products here. 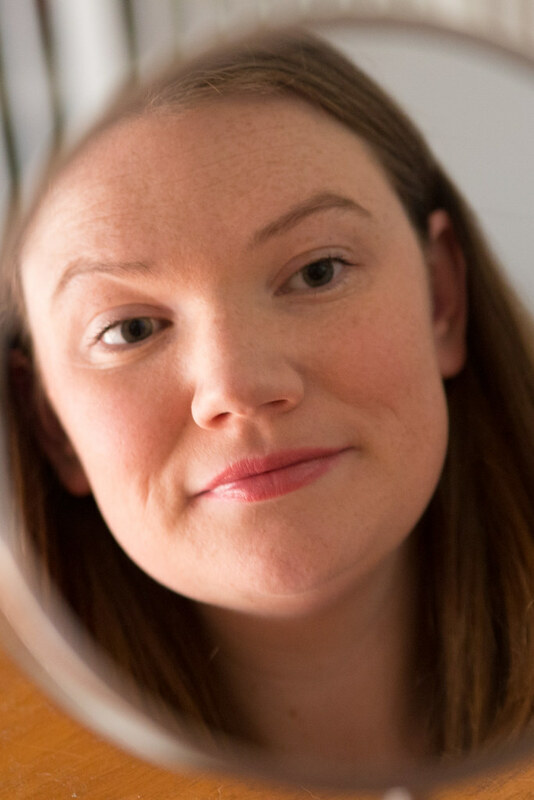 Start off by applying Neutrogena Oil-Free Moisture with Sunscreen SPF 15 to your freshly washed face. 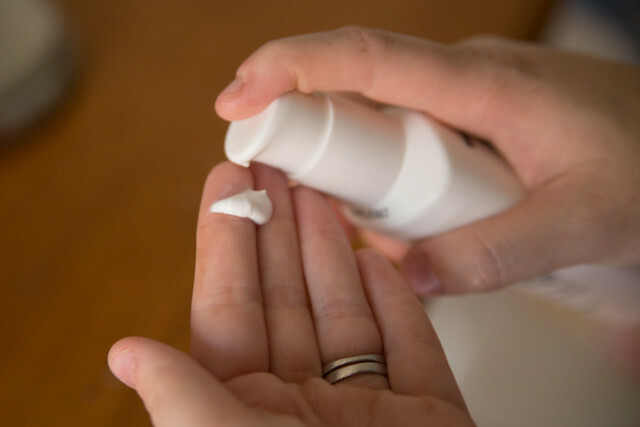 It’s important to apply a moisturizer every day — especially during summer. I like this one because it includes sunscreen, which is a MUST for every day wear. It also goes on super-smooth and feels great. 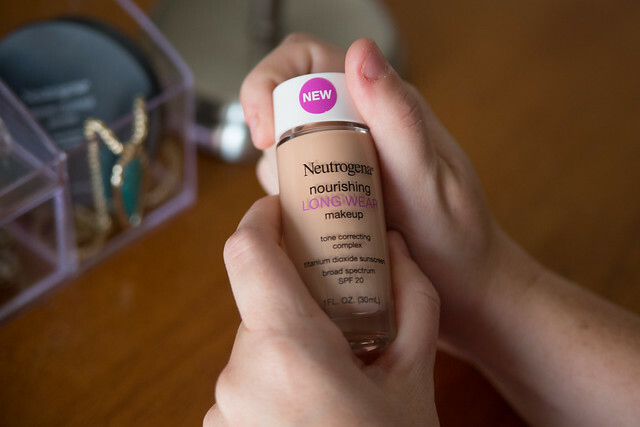 Next, apply Neutrogena Nourishing Long Wear Liquid Makeup Broad Spectrum SPF 20 with a foundation brush. 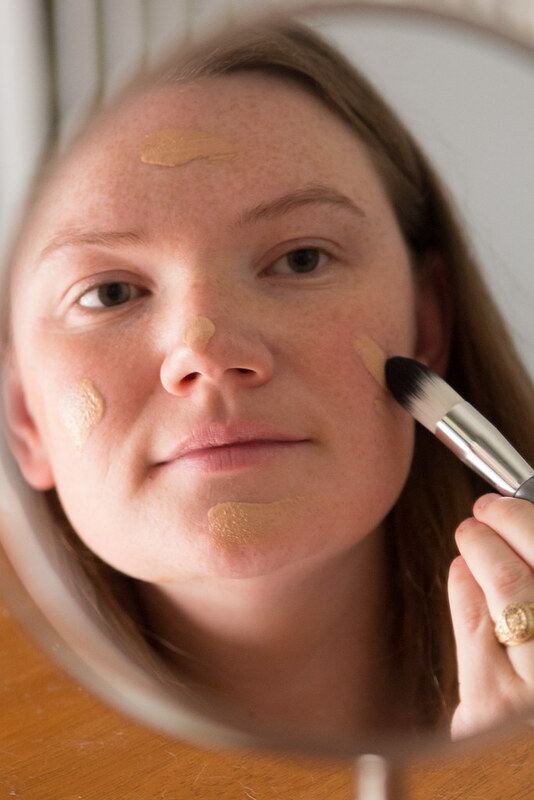 This foundation lasts up to 12 hours, and it’s awesome. Plus, it has sunscreen as well, so you are definitely covered in that area. 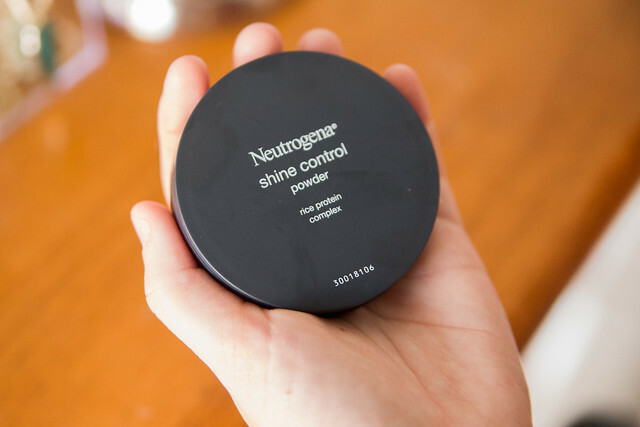 Now, apply some Neutrogena Shine Control Powder. 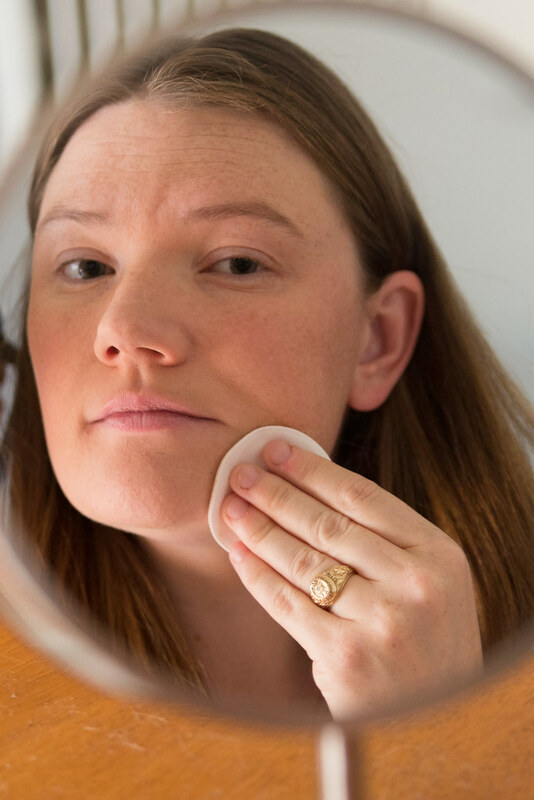 This will help keep your skin looking smooth throughout the day. 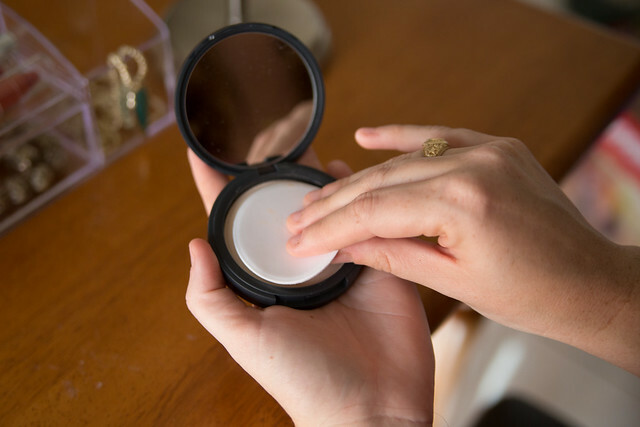 I like to carry mine with me and reapply when needed, which keeps my makeup looking fresh throughout the day. 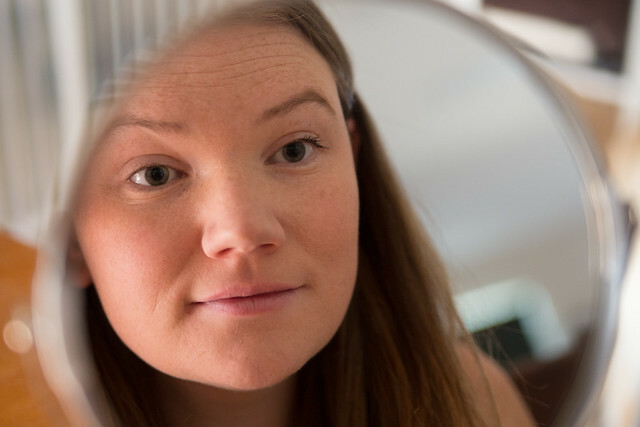 Add several coats of Neutrogena Healthy Volume® Mascara. 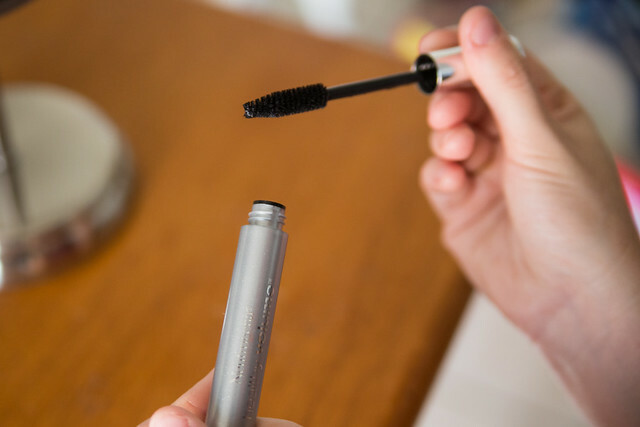 This is my favorite mascara — just look at the difference with it on and off! I like to keep my eyes simple during the summer, so for this look, I just added mascara. You could also add some Nourishing Eye Liner. 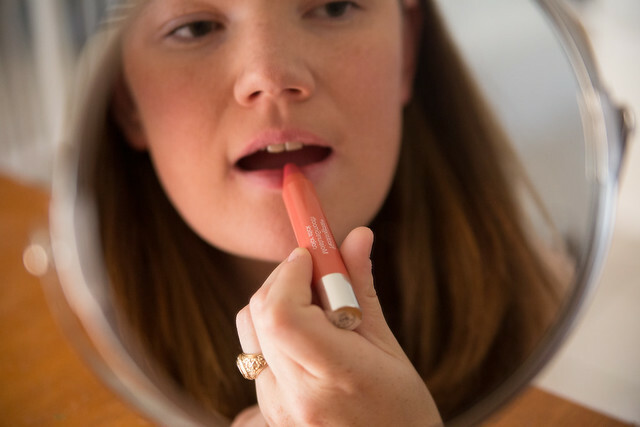 Lastly, add a pop of color to your lips with Neutrogena MoistureSmooth Color Stick in Fresh Papaya. This is such a fun coral shade for summer. I am also a fan of the Bright Berry shade. And there you have it! Now you’re ready for a busy day! 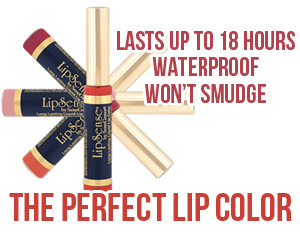 What are your summer makeup essentials? I’ve been looking for a new moisturizer, definitely going to check this one out. 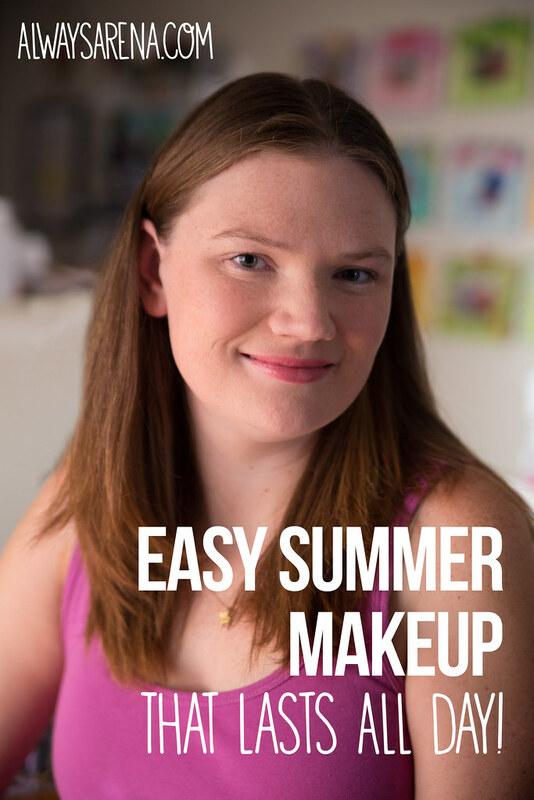 Great tips… I’m glad I can achieve this summer look and it doesn’t take forever! Great and easy tips. I like that the moiturizer has sunscreen in it too. Great tip! Can we talk about that mirror? I so need that in my life! 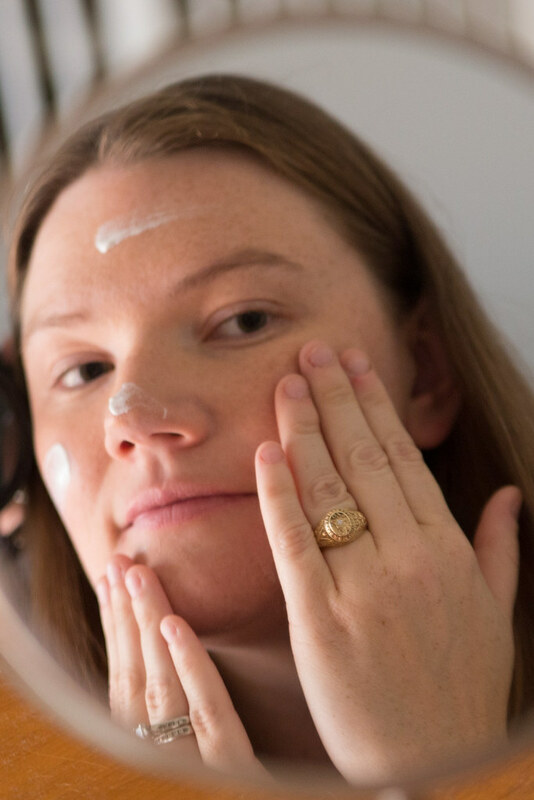 I love Neutrogena skin care and makeup. I’ve been using it for years, especially in the summer. It’s nice to have light to medium coverage that isn’t greasy and doesn’t sweat in the summer heat!